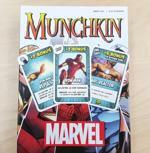 Daily Illuminator: Munchkin: Marvel Edition Swings Into Stores! May 2, 2016: Munchkin: Marvel Edition Swings Into Stores! 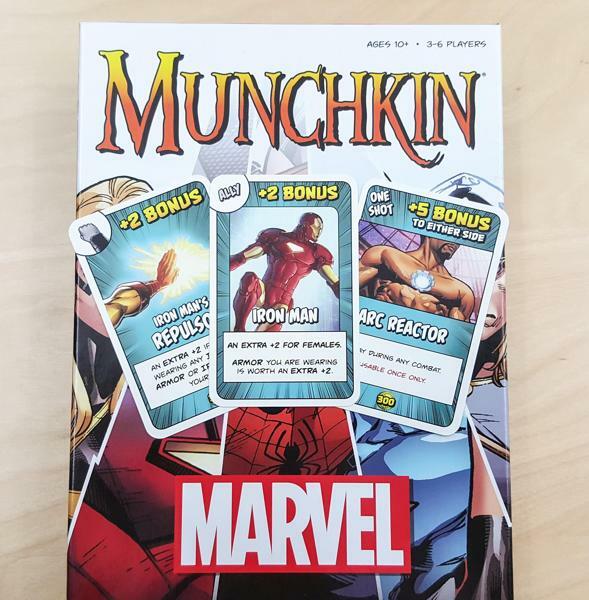 The highly anticipated Munchkin: Marvel Edition from USAopoly is in stores now, and it's taking people by storm! USAopoly really knocked it out of the park, featuring incredible art straight from the comic pages, and creative cards that make each character unique. I mean, there aren't many games where the material makeup of your kitchen table can change the rules of the game (I'm looking at you, Absorbing Man). Players take their S.H.I.E.L.D. Agents through the ranks, competing with your fellow agents, always trying to backstab each other. Sounds like Hydra may have infiltrated the organization! Do you want to wear Iron Man's Armor and shoot Hawkeye's Bow? Now you can! Additionally, keep an eye out for the Deadpool, Deadpool's Taco Truck, Peter Parker, and elusive Infinity Gauntlet promo cards. The first three will be at various cons and events that SJ Games will be attending this year. USAopoly has special plans for the Gauntlet, so keep an eye out for that announcement. Pack up your Helicarrier, and get to your friendly local game store for your copy, or on Warehouse 23 if you don't have one. Warehouse 23 doesn't have parking for a Helicarrier, however.